Here is the novel that will forever be considered a triumph of the imagination. 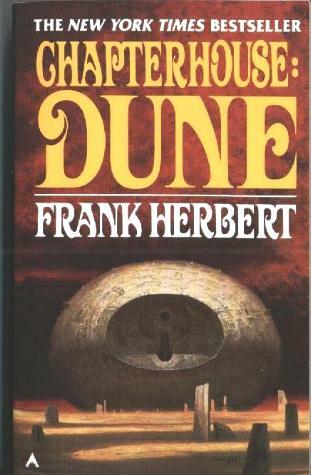 Set on the desert planet Arrakis, Dune is the story of the boy Paul Atreides, who would become the mysterious man known as Muad'Dib. He would avenge the traitorous plot against his noble family—and would bring to fruition hmankind's most ancient and unattainable dream. 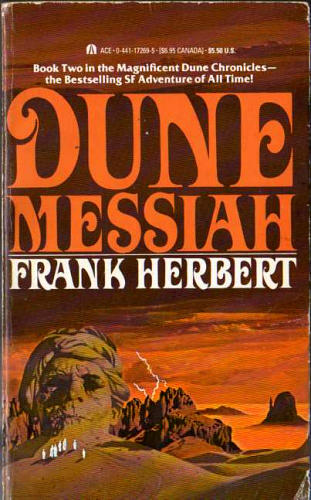 The fourth book of the Dune series takes place 3500 years after the events of the original trilogy and tells the story of Leto, the son of Paul Atreides, savior of the planet Dune. Leto still lives but is no longer human. 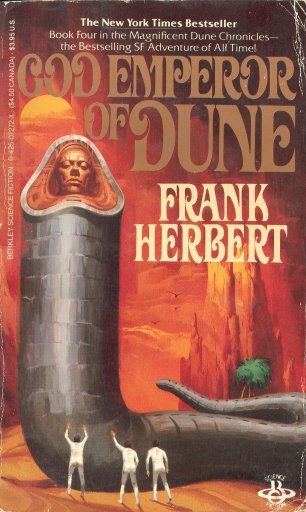 He has traded his humanity for virtual immortality by undergoing what will soon be a total transformation into the magnificent and enormous sandworm of Dune. He must live, for without his guidance the human race will go horribly astray. Will he succeed or will his awesome sacrifice have been in vain? 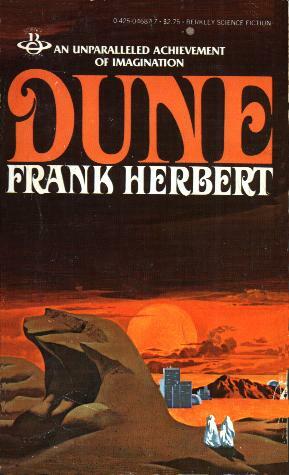 Futurist, journalist, bestselling author, world-maker Frank Herbert's magnificent future history, The Dune Chronicles, has proven itself the most popular and enduring work of speculative fiction of our age—not only for the grandeur of its epic sweep, but for the complexity and intricacy of its world. 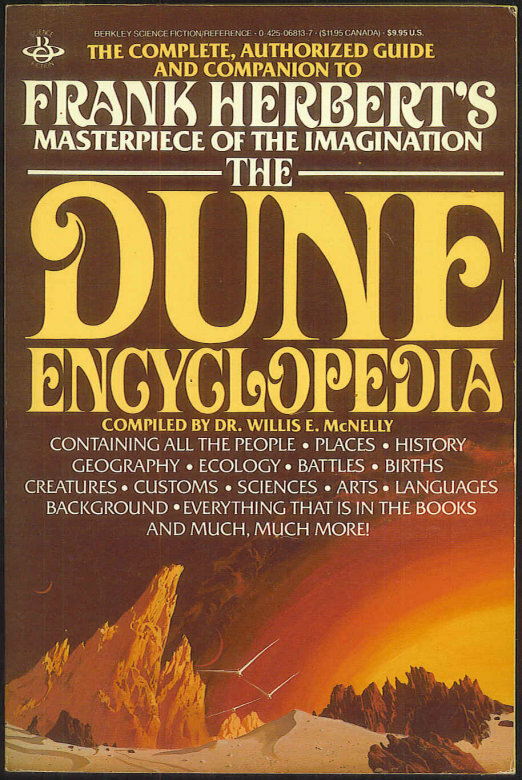 Now, for the first time, Dune is revealed in panoramic detail—the people, the desert planet, the ecology, the history, the entire universe of the visionary masterpiece! 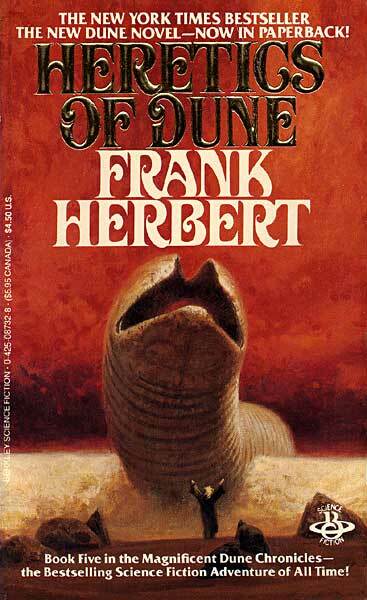 Frank Herbert's Dune Chronicles are published solely by Ace Books. 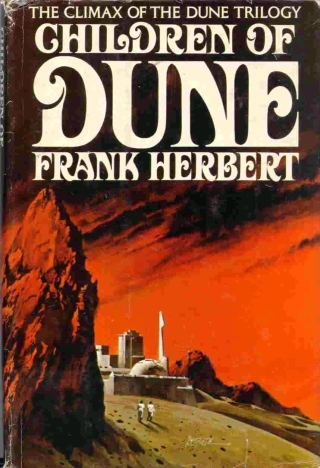 Please note that the self-proclaimed series of "Dune Novels" published by Tor Books is not authorized or endorsed by Frank Herbert—the books of that series contradict and conflict with the events, situations, and characters of Mr. Herbert's Dune Chronicles as published by Ace.